The Orlando Solar Bears have been a successful franchise, qualifying for the Kelly Cup Playoffs in four of the past six seasons. They will be even more of a team to watch in the next few years. It's a big news day for Orlando sports. 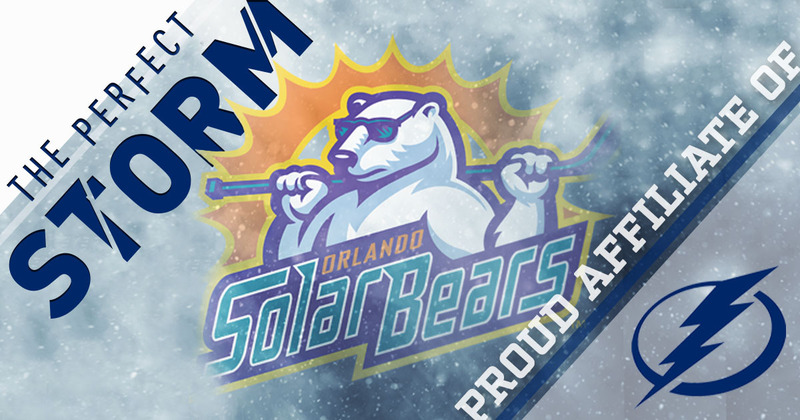 The Solar Bears have announced a three-year affiliation agreement to serve as the Tampa Bay Lightning's primary ECHL team, a pact that is sure to provide tremendous synergy for Central Florida's two hockey teams. Orlando should see an uptick in attendance, with Lightning fans excited to watch some of their most intriguing prospects suit up for the Solar Bears. It also provides a great opportunity to Tampa Bay to be able to quickly access any players on the Orlando roster with the team being just a short drive up I-4. The Solar Bears have continued to be one of the ECHL's best franchises after being bought by the Orlando Magic ownership group last year. "We are incredibly excited for this new partnership affiliation with the Tampa Bay Lightning," said Orlando Magic CEO Alex Martins. "The Lightning is a first-class organization with tremendous values and vision and we feel very fortunate to have this opportunity to be a part of their hockey family." As part of the new partnership between the Solar Bears and Lightning, Tampa Bay will also play a preseason game at the Amway Center on Thursday, September 27 against the Florida Panthers. Tickets go on sale to the general public on Thursday, August 23 at 10 a.m. This will be the Lightning's third exhibition contest at Amway. They were last at the arena in 2013, when they won a 4-3 preseason shootout victory over the St. Louis Blues.